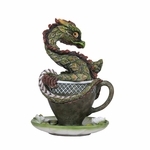 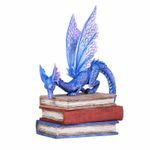 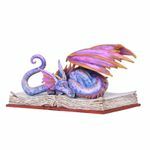 This fabulous figurine features a fine dragon! The drake has been done in a Steampunk fashion, with various shades of metal-- copper, bronze, and gold-- and a variety of piping, gears, and cogs. 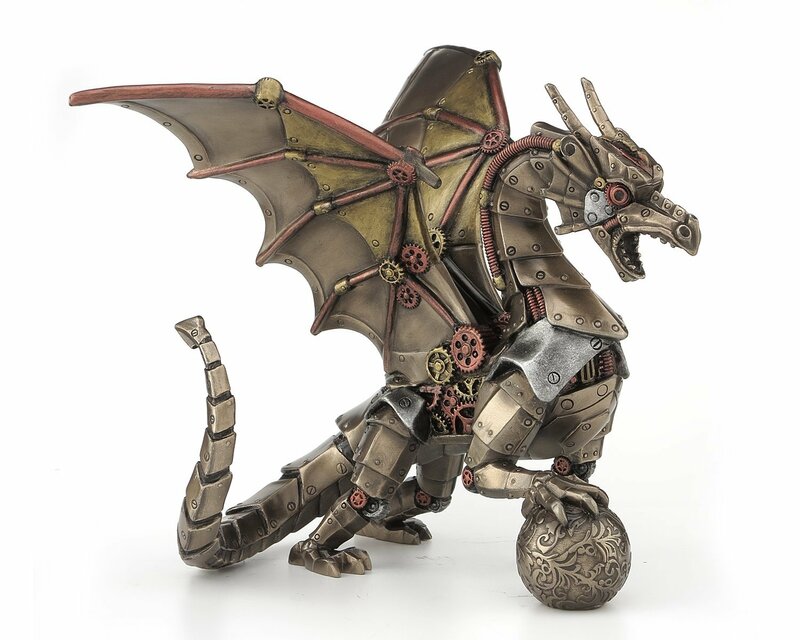 The fearsome beast has his mouth open in a cry, and grips an ornately decorated sphere in one of his clawed feet. 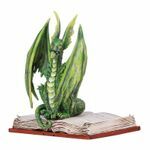 A unique addition to the decor, and the perfect gift for anyone who loves both fantasy and mythology!